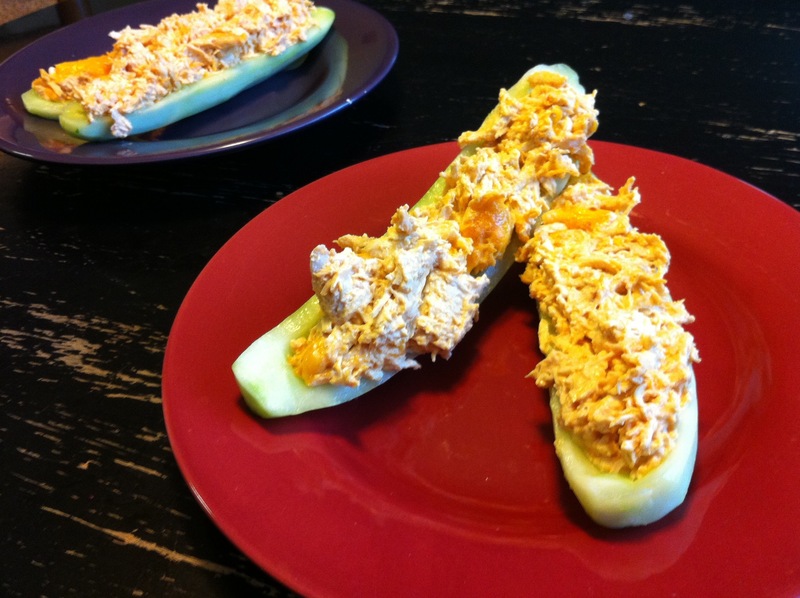 Last night for dinner my roommate and I made Buffalo Chicken Cucumber Boats. 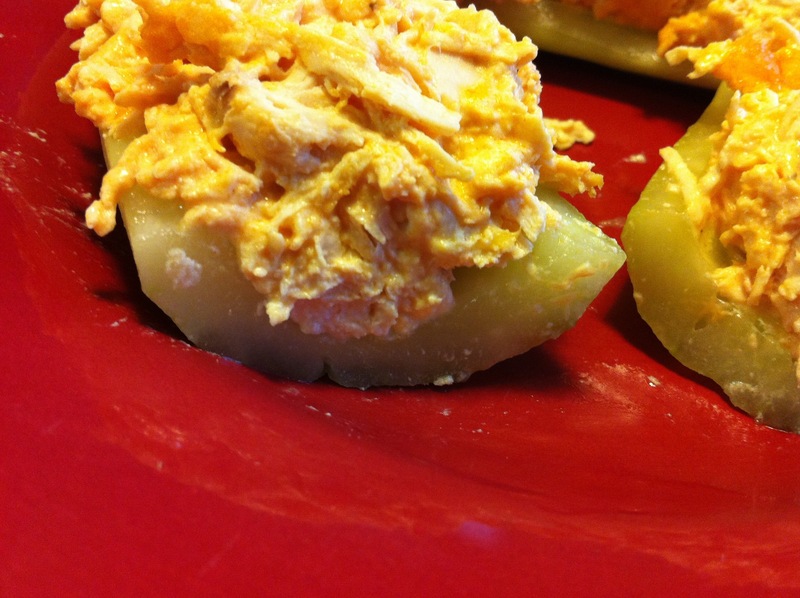 They were ridiculously easy and ridiculously delicious, you should absolutely make them for yourself. 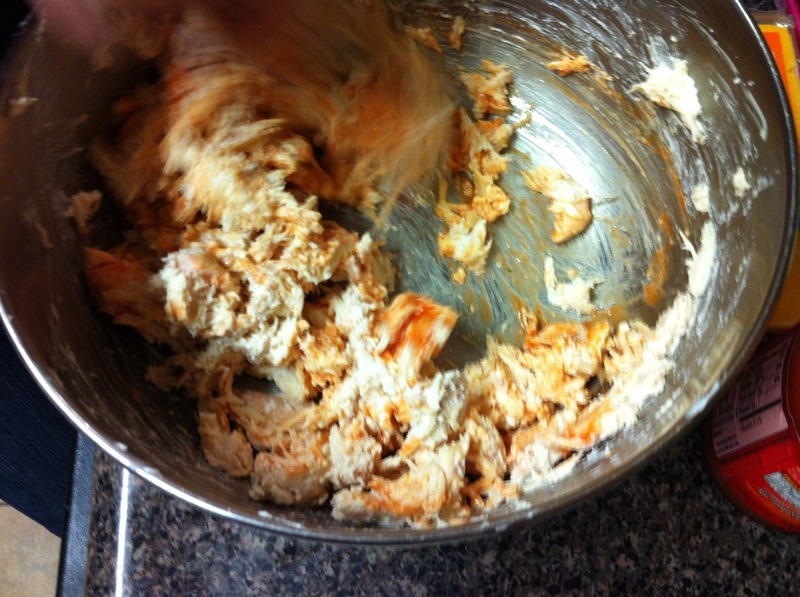 Bake some chicken breasts (or any other chicken you happen to have on hand) and then shred it. 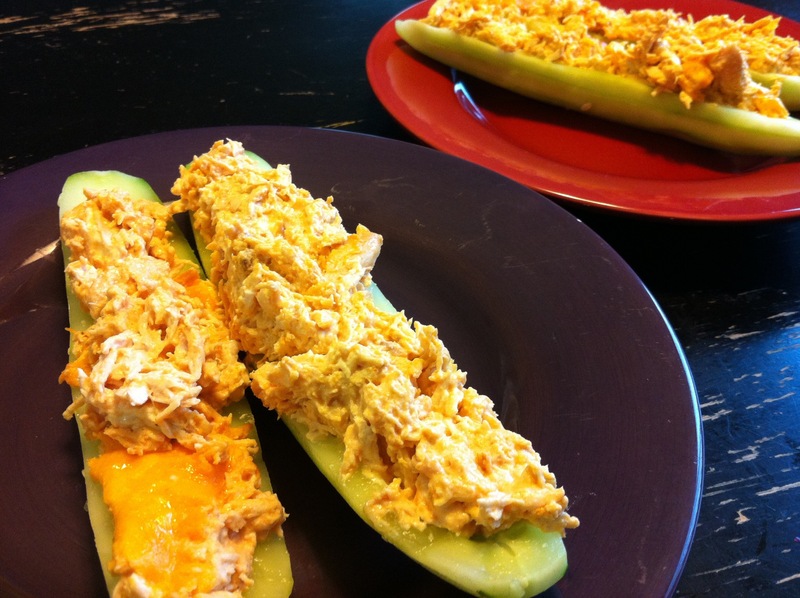 Throw it in a bowl with some cream cheese, ranch dressing, and Frank’s Red Hot (or any other buffalo style hot sauce your little heart desires) and mix everything up until it’s well combined. 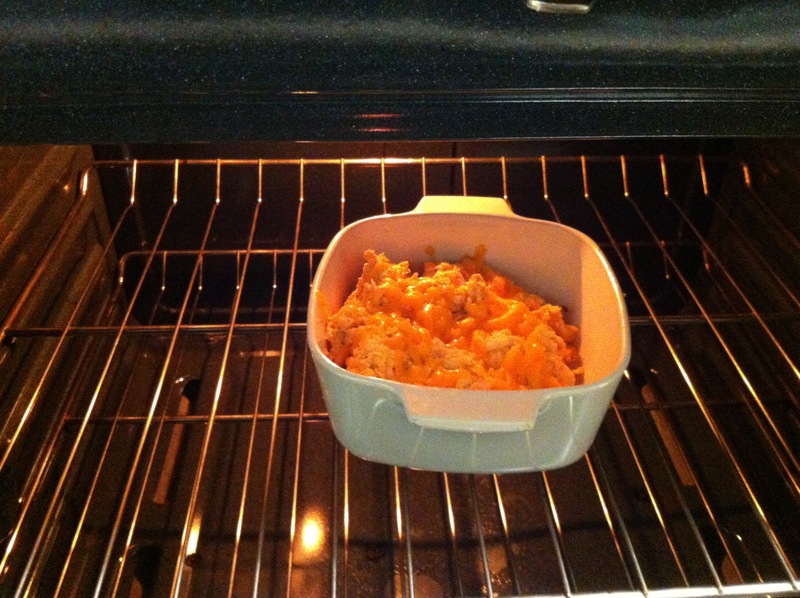 Put it in a dish, shred some cheddar cheese on top, and throw it in the oven until it’s heated through and the cheese is melted. Meanwhile, cut some cucumbers in half and scoop out the seeds. 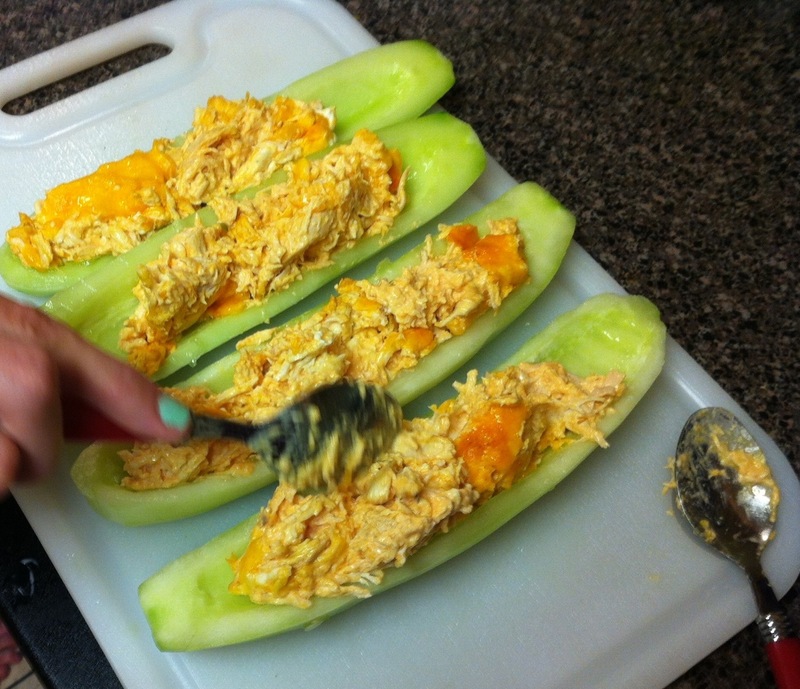 Take the chicken mixture out of the oven and spoon it into the cucumber halves. 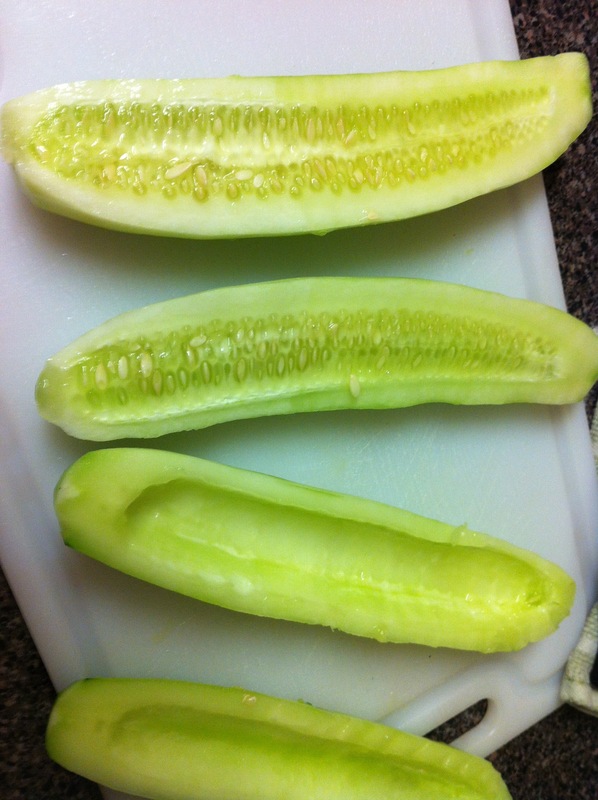 – Peel cucumbers if desired, cut in half, and scoop out the seeds.